Dr. Kirby attended the University of North Carolina at Chapel Hill as an undergraduate and earned a Bachelor of Science in Biology with a minor in Chemistry. She received her medical degree from East Carolina University. 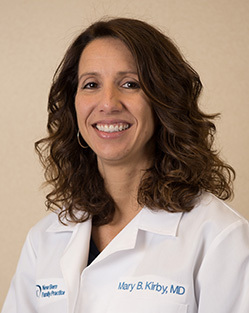 Dr. Kirby completed her internship and residency at St. Joseph’s Hospital in Arizona and she served as Chief Resident in 1998.